Happy new Month to each and all. December marks the final month of the year long Converse Century celebration and I am willing to bet that there might still be some surprises in store for the final month. I hope everyone had a wonderful Thanksgiving holiday and enjoyed a few days off from work. Without further delay lets get to the pics. 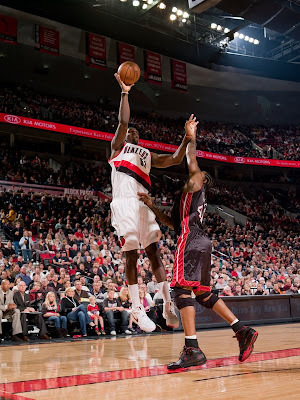 First we have a few different pictures of Elton Brand wearing the Converse EB1. It appears through the pictures I've seen that Elton has a hard time keeping the midfoot straps down. Here is Dwyane Wade, who has been playing MVPish basketball, however he has been doing it while wearing his first Converse basketball shoe the Wade 1. Does anyone know why he hasn't worn the 4's yet? I haven't heard anything besides he doesn't like them, which is odd because overall I've heard more positive talk about the 4's than I did about the 3's. Oh well only time will tell. 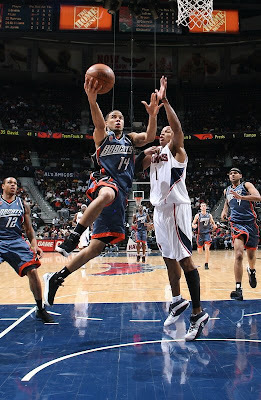 Maurice Evans has been switching between last years Converse Hops and this years Converse Assist. Until recently he has been wearing the Hops in his Orlando Magic colorway, which looked really out of place in a Hawks uniform. 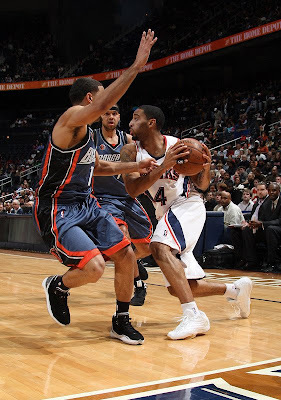 He finally got in a pair of Black/White Hops, but has been wearing a PE version of the Assist as pictured below. So far this year Acie Law has wore three different Converse shoes, the Converse Attack, Converse Assist, and the Converse Wade Slash. This is a real tale of past, present, and future. The Converse Attack came out last year and I believe it was a Champs Sports exclusive, or at least that was the only place I ever saw them released. The Assist is a team shoe from this season which Alando Tucker and Kirk Hinirch wore before they got hurt, neither are pictured today. Finally the Wade Slash is a shoe coming out soon and I've heard a lot of positive response from the sneaker community so look out for those in the future. However, I only have pictures of him wearing the Converse Attack. 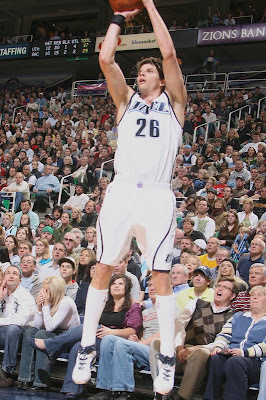 Here is Kyle Korver wearing the Converse Assist, I don't have many pictures of him because he has been out hurt also. 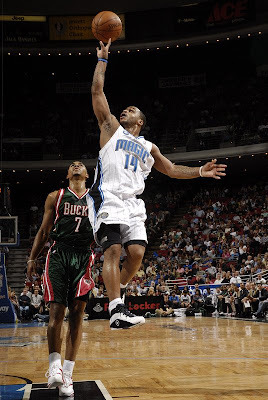 Finally we come to Jameer Nelson, who I guess technically isn't a Converse endorser. At least according to Converse.com and the EB1 press release. 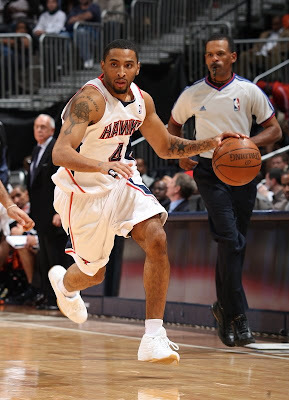 But he has been wearing the Converse Assist in both home and away colorways all season long. If anyone knows any more about this situation please email me, I can't seem to find anything out. Well that is it for today, enjoy Cyber Monday and check back for more updates here at The Converse Blog.